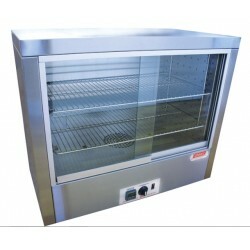 Glassware Drying Ovens There are 3 products. Thermoline’s range of economy drying ovens have been developed to provide effective drying to items which may be moist or saturated.These models have high air flow throughout the work space which is also vented out the rear of the cabinet via a large exhaust port. Thedigital controller with LCD display allows for easy temperature adjustments up to 110°C.